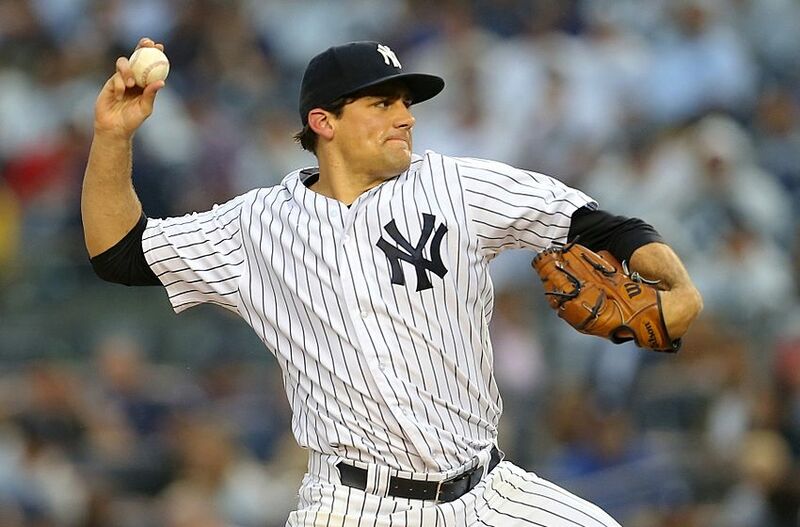 Had the Yankees won the 2015 wild-card game, Nathan Eovaldi could have made his playoff debut in pinstripes in the following series. Had the Yankees not released the right-hander after he underwent Tommy John surgery the next year, Eovaldi could have been in the first-base dugout Monday night. In the biggest start of his career, Eovaldi continued tormenting his former team, and moved the Yankees one loss from elimination, allowing just one run over seven dominant innings in Boston’s 16-1 ALDS Game 3 win at Yankee Stadium. 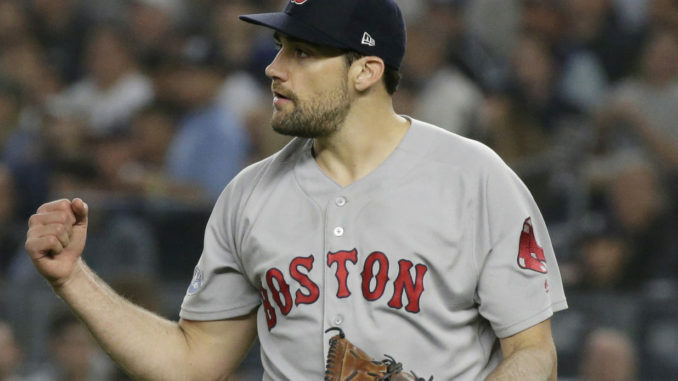 Eovaldi, who missed all of last season due to injury, and was traded from Tampa Bay to the Red Sox on July 25, has now allowed just one run over 23 innings (0.39 ERA) against the Yankees since making the midseason move. In his three starts against the Yankees since joining Boston, Eovaldi has held Yankees hitters to a combined .143 batting average (11-for-77). The right elbow that’s undergone Tommy John surgery twice consistently fired fastballs that touched triple-digits. Eovaldi mixed in devastating cutters, and 80-something mph breaking balls, leaving the Yankees’ powerful lineup off-balance all night. Eovaldi opened with three scoreless innings, and returned for the fourth with a win locked up, having been staked to a 10-0 lead. 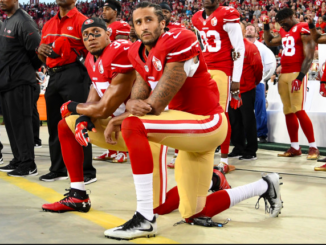 Still, the 28-year-old never let the Yankees sniff a rally, allowing his lone run on a groundout. Eovaldi allowed five hits, no walks and struck out five, throwing 97 pitches (72 strikes). In two years with the Yankees, Eovaldi went 9-8 with a 4.76 ERA, before succumbing to a season-ending injury in August 2016. By that November, the Yankees cut ties with the talented, but injury-prone pitcher, unwilling to see if his future would be as bright as his potential.